the Government’s incompetence to deliver any significant project to date, the fifth month of their fourth year in office. Throughout the Sandals saga, the Government withheld information from the public, refused to answer the simplest questions and failed to garner public support for the project. 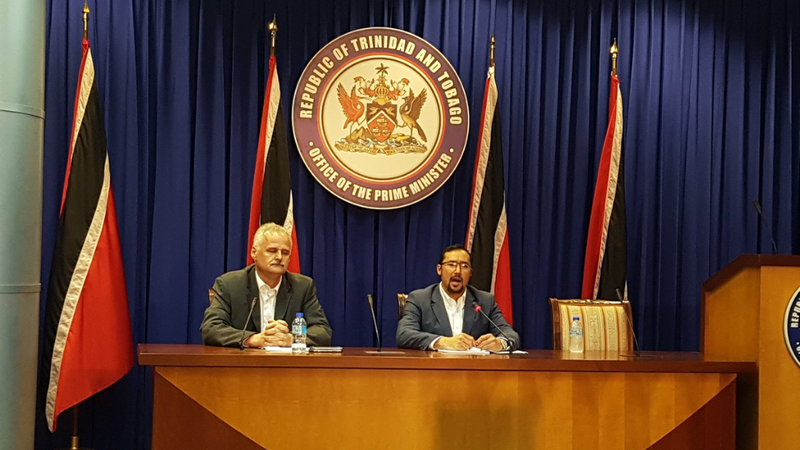 They embarked on a PR campaign to vilify various stakeholders, including environmentalists, which left many wondering whether the Government was working for Sandals or the people of Trinidad and Tobago. This project was mired in controversy even before this Rowley-led Government took office, as Dr Rowley improperly held talks with the owners of Sandals while he was Opposition Leader and struck a deal. Sandals was always one of Rowley’s whims and never a well thought out development project. The Government clearly had no plan with regard to Sandals hence the inevitable withdrawal from Tobago is no surprise. Throughout the process, they kept changing their story. First, Sandals was to construct and manage the hotel. Later, we heard that the Government would pay – meaning that taxpayers would pay – for the construction of the resort and Sandals would only manage it. Rowley conned the population into believing that Sandals would “change the game” when the Government never even signed a contract with Sandals. His game changers are all pie in the sky desires not viable research-driven policy recommendations. The Government also dismissed the concerns regarding the environment in the area which Sandals was been earmarked, claiming that Sandals would not be constructed on environmentally sensitive areas, however, the Sandals EMA application clearly shows the opposite to be true. All of their declared game changers- the Dragon Deal, Petrotrin closure, the Seabridge and Sandals, have been shrouded in secrecy. We have seen a Rowley Administration committed to forcing bad deals on Trinidad and Tobago. And now that the deal has fallen through, they are floundering looking for someone to blame. Undoubtedly, they would resort to their default reaction of ‘blame Kamla’, ‘blame the UNC’. We are of the view that the decision by Sandals to withdraw is a positive one for the people of Trinidad and Tobago. The billions of dollars that would have been spent can now be invested in Tobago for job creation, health care, education, crime fighting and social services. We are not opposed to any viable project that drives economic development, the tourism sector or the people of Trinidad and Tobago, however, we could not support the Sandals project given the secrecy, lack of accountability, misinformation, and poor procurement process which defined the project. This Rowley Government is not up to the job of effectively governing our country, and the Prime Minister should give the people of Trinidad and Tobago the opportunity to choose a leader and team that can build a brighter future for Trinidad and Tobago.